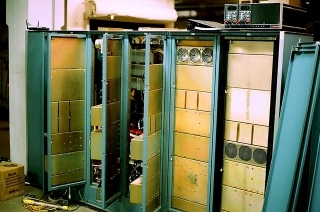 The University of Oregon's PDP-7/A (S#113) was operated by Professor Harlan Lefevre and his team alongside the Universities particle accelerator until his retirement. When the PDP-7 was de-commissioned in 2001 it was donated to the Paul Allen Living Computer Museum (PDPplanet Project) in Seattle, and was believed to be fully operational after nearly 40 years use with some 61,000 hours logged. Although officially decommissioned it remained in occasional use up until 2006 when it was finally disassembled and shipped into storage at the Living Computer Museum. The machine has undergone full restoration including the fitting of new power supplies (image 8), so it can be regularly seen in operation by visitors to the museum. There is a video of the first power-up of PDP-7/A S#113 after restoration by Keith Perez of the Living Computer Museum (PDPplanet Project). 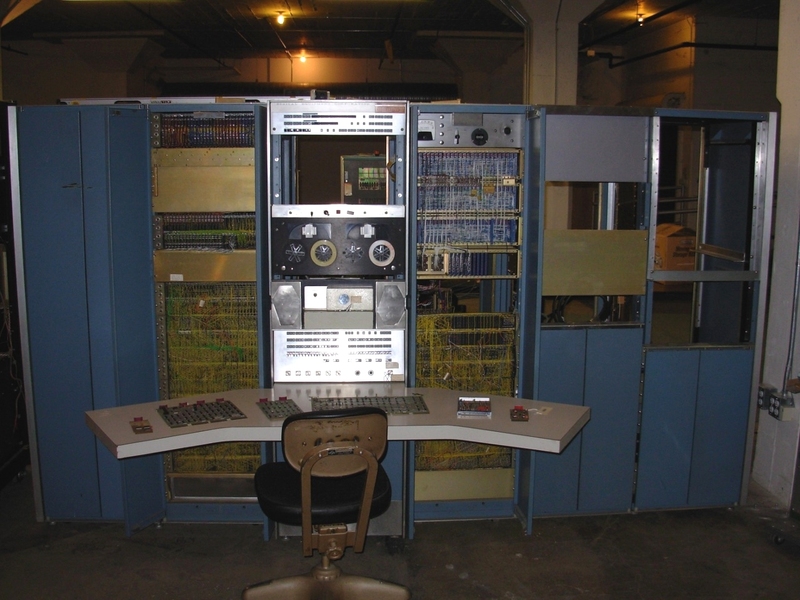 Of the four known PDP-7's remaining from the original 99 produced (list), this machine is believed to be the only one fully operational and with availability to the public. Photos (top four) from Robert K. Johnson shows the machine operational in August /September of 2011 and compares very well to the fifth photo of S#113 from its location at the University of Oregon. CIS: Home: Colloquium Details. The University's 40 year old PDP-7 computer is alive again in Seattle ... 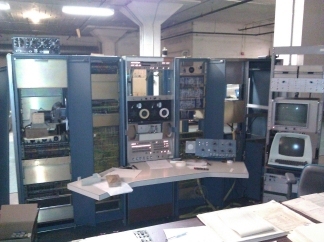 I suggested that this computer, the last PDP-7 in operation in the world, ... http://ftp.cs.uoregon.edu/Activities/talks/20110113-Lefevre.php. Professor Lefevre gave a talk on the 13th January about the University's PDP-7/A entitled - "The University's 40 year old PDP-7 computer is alive again in Seattle". With Professor Lefevre's permission we now have a copy of his PowerPoint presentation, (10Mb PowerPoint file). Several days later emails from Professor Lefevre, who ran the PDP-7/A, have shed a little light on the "unknown" options on this machine. We are not 100% sure which option is which in the list below but think it is pretty much correct. Apparently DEC, who had S#113 on a long term maintenance contract, supplied two switch controlled options which made it possible to run PDP-9 software on the PDP-7/A and to run (in the 7 mode) all of the PDP-7 software. These mods made it possible to run all of the PDP-9 software on the 7 and to run (in the 7 mode) all of the 7 software. Our machine was on a long term maintenance contract. I'm not sure whether we paid for these mods or not or whether DEC supplied them to get us off their back." "Also I realize that the unknown options that came with PDP-7 S#113 were probably the link to the IBM360/50 which was provided by DEC. The two last numbers were probably link related. The two first options were probably a Nuclear Data 160 ADC and its interface which wrote memory directly bypassing the accumulator. 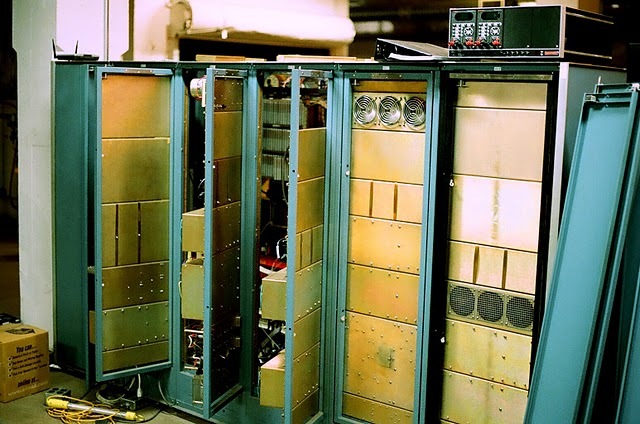 "When we disassembled the system in the High Energy Physics Lab at the University of Oregon in June, 2006, it was still in a running condition. At present, it is disassembled and awaiting reassembly, that's on the schedule for this spring (2009). We'll announce when its ready for visitors." 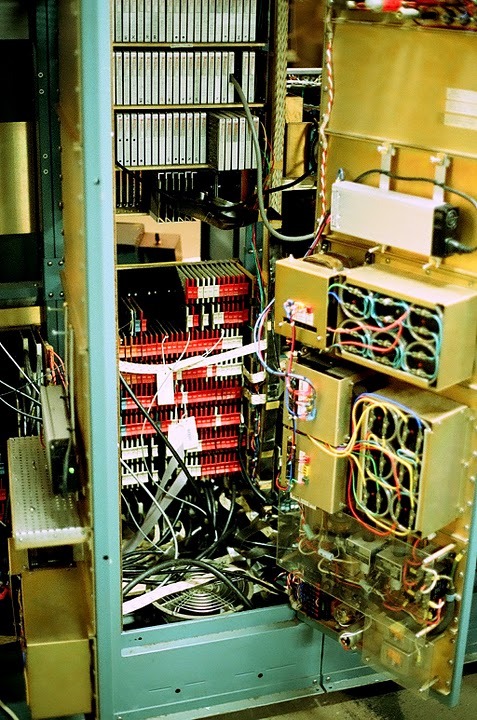 2001 - In 2001 the University featured their PDP-7/A in an on-line article (sadly the article is no longer available), copy below (©2001, University of Oregon). 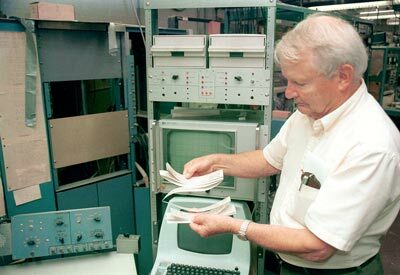 "Goodbye to the PDP-7:" A Computing Pioneer Retires." "At the end of this year, when a DEC PDP-7/A computer leaves campus, a part of the University of Oregon's computing history will disappear. Since 1963, when it was purchased with funds from a National Science Foundation grant, the PDP-7/A computer has served as an invaluable research tool for physics professor Harlan Lefevre and his colleagues." 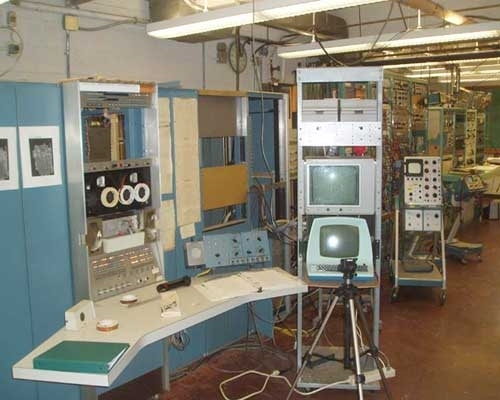 "Four years after Prof. Lefevre came to the University of Oregon in 1961, and three years before the University of Oregon built the Computing Center, the PDP-7/A was installed in the basement of what was then the Student Health Center (now Vulcanology). The computer, which has a magnetic core memory with a capacity for 8000 18-bit words of code, was first linked to an IBM 360-50 and later was linked in real time to the Computing Center." "For more than 30 years, the PDP-7/A served the university as a vital research tool. 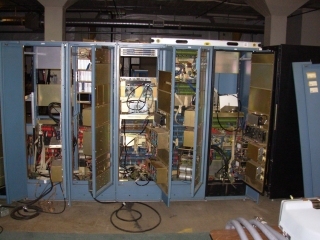 Initially, the computer was used to analyze neutron physics data, and 20 Ph.D. candidates used it to complete their theses in nuclear physics. 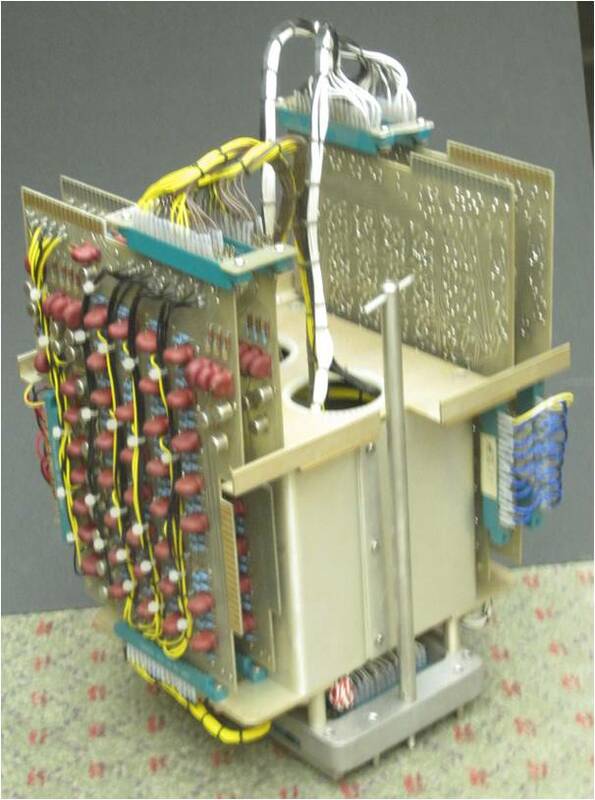 Subsequently, the PDP-7/A was put to work in a Federal Aviation Administration safety project to detect the presence of explosives in luggage. The venerable computer analyzed data from a special scanner that recorded the presence of hydrogen, carbon, nitrogen, and oxygen in sample suitcases." "Prof. Lefevre, happy to demonstrate the machine's virtues, can easily coax it to life again. At his bidding, it lights up and hums with the same vitality it exhibited nearly 40 years ago." Sadly, this bit of computing history will be gone forever by the end of this year, when it will be removed from its long time home with the accelerator that was its partner in research for so many years." Options * - Machine #113 had several options fitted by DEC including those above. The last two were switch options to change between PDP-7 and PDP-9 checksums and eliminate the auto index registers in upper 8K core (these two option numbers may be in the wrong order). #113, at the University of Oregon - 65,000 hours of use (or 7½ years continuous) logged after nearly 40 years. Delivered in February 1966 and scheduled for removal at the end of 2001, #113 would appear to have lingered on at the University for another five years until finally being moved in June 2006, it was still in a running condition. 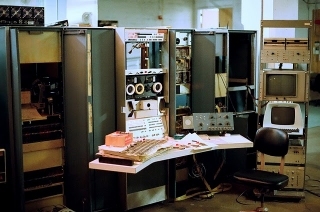 This machine is now at Paul Allen's Living Computer Museum (PDPplanet Project) in Seattle. It has been restored and is now fully operational and open to public viewing at the museum.